Will The Galaxy S6 Have Lower Sub-Par Specs? With 2015 right around the corner, many analysts are predicting a new Galaxy S6 smartphone is in the works. Samsung typically releases a new flagship device about once every year, meaning we’ll probably see one within the next 6 months. 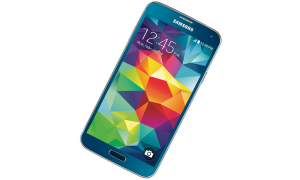 However, rumors suggest that it may have lower specs than the current Galaxy S5. According to SamMobile, the upcoming Galaxy S6 will feature a new and improved qHD display with 1440 x 2560 pixel resolution, 15.9-megapixel camera, octa-core 64-bit processor (unknown origin), 3GB RAM, and Android 5.0 Lollipop. These specs certainly sound nice, but other sources claim this information is false. An AnTuTu benchmark posted on the Chinese website CNMO reveals the Galaxy S6 with a 5.5-inch display at 1440 x 2560 pixel resolution, powered by Exynos 7420 processor, and Android 5.0 Lollipop. Assuming the latter is true, fans could be disappointed by the Galaxy S6’s marginally improved specs. The Galaxy S5 was a monumental improvement from the S4, featuring a superior processor, better camera, and most importantly IP6/7 dust and water resistant technology. These powerhouse combination ultimately resulted in one of the best selling smartphones of all times, even if Samsung overshot its sales expectations by producing too many units. One of the biggest questions regarding the upcoming Galaxy S6 is what size the display will be. We’ve seen a growing trend towards the use of larger displays, such as the Galaxy Note 4 and Nexus 6 with their phablet-sized screens. However, there’s also a slow but noticeable shift towards smaller screens, as many users complain that 6″ is too large for them to comfortably use. So, what size display will the Galaxy S6 use? Samsung has yet to reveal this key information, but there are a few different possibilities, including the same 5.1″ display found in the Galaxy S5, a larger 5.5″ display, or even a 6+” display. Regardless of its exact specs, you can expect Samsung to unveil it at next year’s Consumer Electronics Show (CES). Sources say Samsung is currently calling its upcoming device “Project Zero,” although hits moniker may change as we draw closer to its unveiling. In any case, you can check back with out site here at GalaxyS5US.com for all of the latest news surrounding the Galaxy S5, S6 and other Samsung devices. What kind of specs and features do you hope to see in the Galaxy S6? Let us know in the comments section below!